A bucket - yes an actual bucket - was placed on the ice. 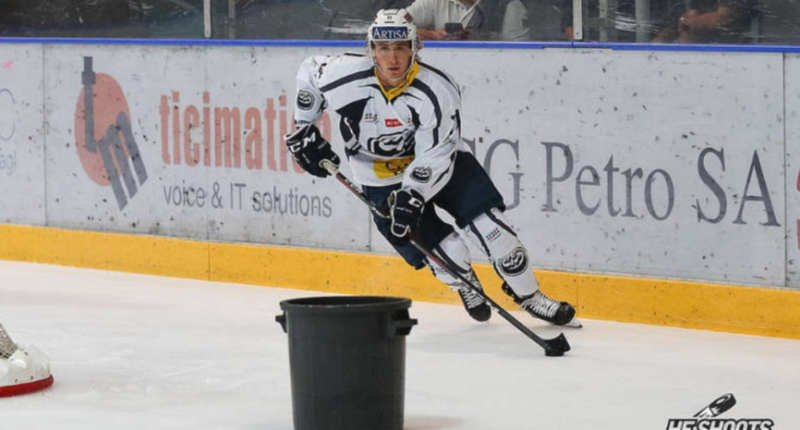 Officials had a creative way of dealing with a water problem during a recent Swiss preseason hockey game. Instead of cancelling the contest due to water dripping down on the ice, the game moved ahead as planned all thanks to a bucket. A large bucket was placed on the ice near one of the goals to collect the water, resulting in some absolutely wild pictures. Seriously, doesn’t that look fake? It looks like a meme used to mock a defender, though a pylon/cone may be more appropriate for that. Other photos from the night proved it was in fact very real. As if preseason hockey wasn’t absurd enough as is, this moment from Swiss hockey takes the cake. What happened when the puck hit the bucket? What happened if a player ran into it? We’re left with far more questions than answers. The sight of a bucket on the ice led to a variety of classic comments from fans comparing said bucket to NHL players. Who got this photo of Griffin Reinhart? Here’s hoping that these photos don’t die out after this initial story. Considering how fun the hockey community can be online, we have a feeling the memes will roll on once the new NHL season begins.